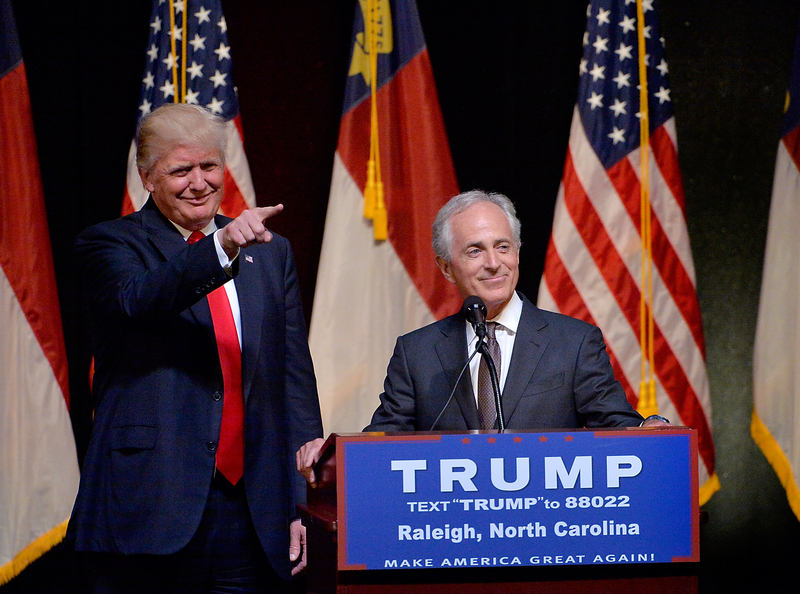 Long considered a front-runner to be Donald Trump's running mate, Bob Corker has withdrawn from the vice presidential running, according to a Washington Post article. The report comes amidst a flurry of rumors and conjectures leading up to the GOP nominee's announcement of his running mate, which is expected any day. In the Post article, the Tennessee senator cites the political nature of the VP job as the main reason for his "thanks but no thanks" response to the Trump running mate speculation. "I think I'm far more suited for other types of things," Corker said. This statement sounds a bit odd following a day where the senator campaigned alongside the controversial Republican nominee. As recently as Tuesday, news outlets were reporting that Corker, who chairs the Senate Foreign Relations committee, was being vetted for the number-two slot on the ticket. Less than 24 hours ago, NBC News confirmed Tuesday that Corker had submitted vetting papers to the Trump campaign, which makes the senator's comments all the more surprising. Corker, who chided establishment GOP figures for criticizing Trump during the primary, had been long thought a strong contender for the VP pick. NBC News' Kelly O'Donnell wrote that Corker "could be a bridge" between Trump and establishment Republicans. Though Corker did not comment on who would be Trump's pick, he did say that "he expects Trump to make a final decision on his pick by July 15."